Our vibrant church ministers to folks of all ages. There are many opportunities to connect and grow with others, while lending a helping hand to each other and to those in our community and throughout the world. “For God so loved the world . . .” College Park Church understands that we are the recipients of God’s boundless love and that God has called us to show that same love to others locally and globally. Guided by College Park’s Missions Committee, our faith community is currently involved in a number of opportunities to express God’s love in tangible ways to other people. Each summer, a big group of our youth and adult sponsors travel to a location in the United States for a week of providing a wide variety of help. Learn about a recent trip. Following is a partial list of local ministries in which our church members participate or our church supports. 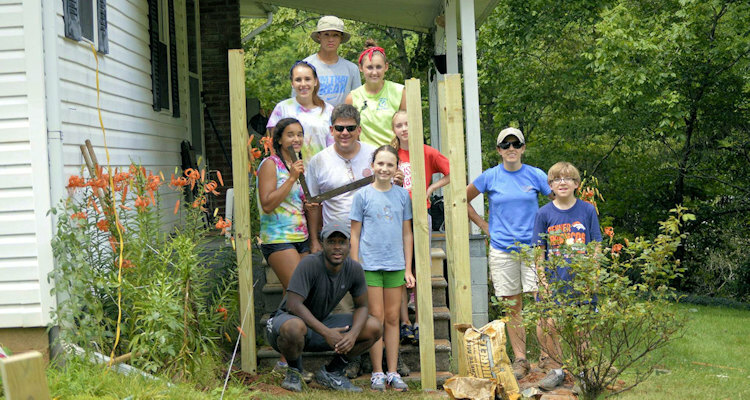 Energeia—Thia quarterly community service ministry provides additional opportunities to show God’s love directly to our community. Energeia, which is Greek for working, invites College Park-ers to volunteer one Saturday morning or afternoon each quarter to work in a local humanitarian effort. While some of these work opportunities are best suited for adult volunteers, others are also be appropriate for families with children and youth. Our work will benefit the homeless, the developmentally and physically challenged, the poor, and the environment. Syrian Refugee Support: Provide a helping hand to refugee families who are resettling to Greensboro. Read more. Backpack Club: Supports Out of the Garden Project to provide a weekend’s worth of nutritious food for children in need at several local schools. Read about our work day. Greensboro Urban Ministry: On the third Sunday of every month we cook and serve dinner to about 100 homeless people at Urban Ministry’s Potter’s House Community Kitchen. We also collect nonperishable foods every month to help Urban Ministry provide emergency food to families and individuals in need. Creation Justice Team: Dedicated to ecological and environmental justice and stewardship. Click link for more information. Al-Anon: An Al-Anon group meets at College Park every Friday at noon. Narc-Anon: Narcotics Anonymous “Afternoon Delight” meets at College Park Monday – Thursday at noon. PFLAG: Made up of parents, families, friends, and allies uniting with people who are lesbian, gay, bisexual, transgender, and queer (LGBTQ), PFLAG is committed to advancing equality through its mission of support, education, and advocacy. Join them for our monthly meetings at 7:30 PM at College Park on the 3rd Tuesday of every month. Girl Scouts: We are delighted to host a great troop! Shepherd’s Center of Greensboro: College Park financially supports Shepherd’s Center, which helps older adults pursue independent and active lives. Senior Wheels Medical Transportation Program: College Park financially supports Senior Wheels, which provides rides for senior adults to medical appointments. Outrageous Outreach is an opportunity for College Park’s children in grades 3–5 to grow in their understanding of serving God through serving others. This lively group meets every 4–6 weeks and works with 3rd–5th graders from Grace United Methodist Church on various service projects. 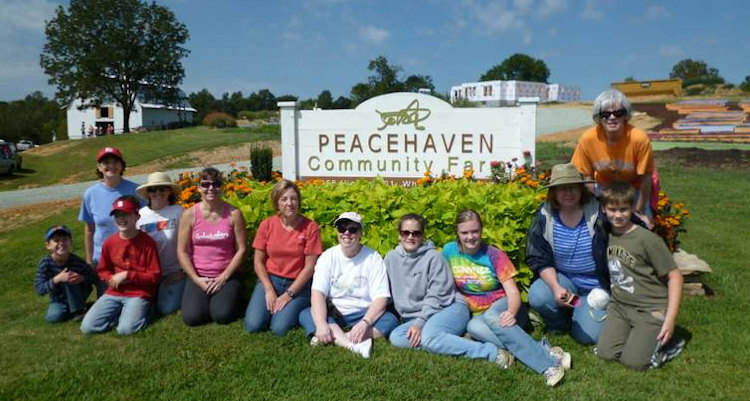 Activities have included serving a meal at and collecting towels and linens for Pathways Center (a local shelter for homeless families), cleaning up the garden at Kids Path (at Hospice and Palliative Care of Greensboro), and playing games with Burmese refugee children whose parents are in English class. Read about our Angel Trees during Christmas.